Today's entry in my favorite things of 2017 is one of the best ongoing webcomics on the internet. 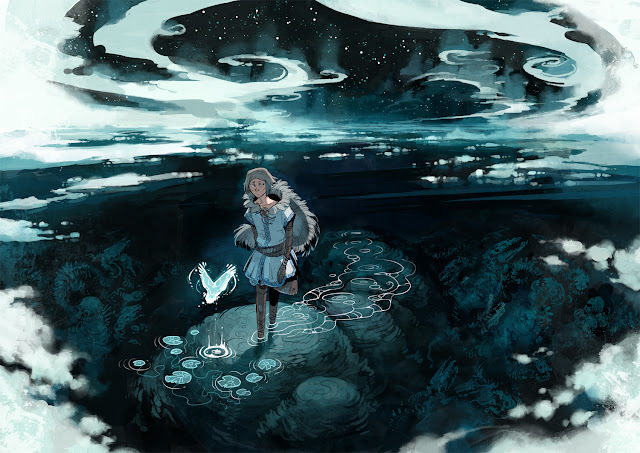 Stand Still, Stay Silent is a Finnish-Swedish webcomic started by Minna Sundberg in 2013. Set in post-apocalyptic Scandinavia, this one was pretty much genetically engineered to appeal to me. 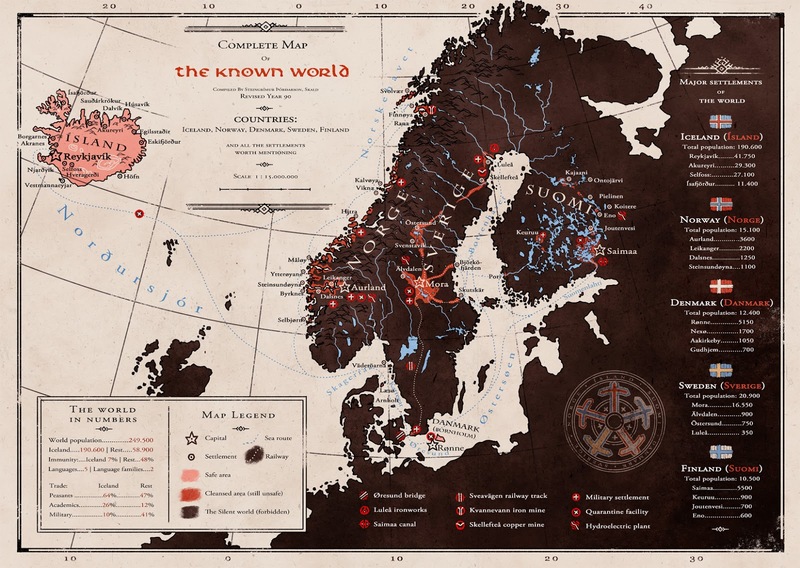 Mixing simply stunning art, Nordic myths, interesting characters, and some stellar cartography of all things, this one is a treasure. The story is uniquely Scandinavian and it's possible you won't enjoy it quite as much if you haven't lived there, but I feel that it's more of a bonus for those of us who have a relationship with that part of the world, rather than a barrier for others to enjoy it. The story follows a group of Scientists and their guides as they explore what is left outside the safe zones where humanity still survives. In this world Iceland managed to remain largely isolated, and is thus now the last remaining advanced civilization in the known world. 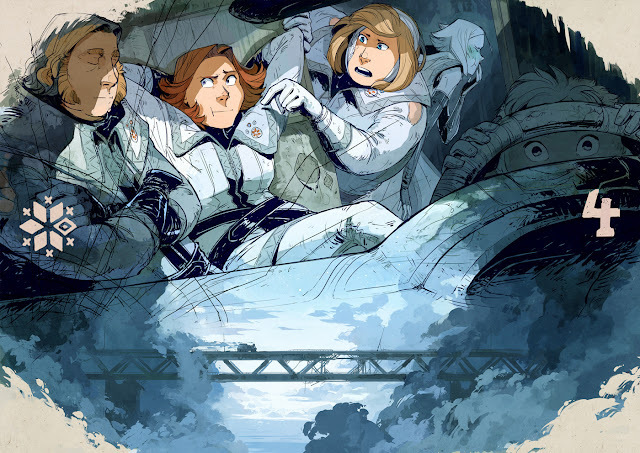 Now, many years after the apocalypse this crew of under funded scientists are out to discover what was lost. Of course not all is as it seems and the story layers in some mysteries and world building as it goes. It's a fascinating backdrop to some wonderful characters, and much of the joy here is in the dynamic among the group. The creator is currently on Kickstarter seeking funding for a second hardback volume. If you prefer a physical copy of this amazing art, now is a great time to get on board. They are also hard at work on a possible game adaptation, so who knows, we might get to explore that world for ourselves too!